Whoever coined the phrase, “When the going gets tough, the tough get going” must have been knee-deep in the general aviation industry. But among The Addicted, life in the skies is more of an imperative calling than a casual pastime, so we adapt, innovate, invent, and press on. That’s the positive side of GA’s current trials: we may end up with a better mousetrap. Tough times foster creative solutions, things that will benefit future generations of aviators. It’s all part of my theory that GA isn’t dying, it’s just changing. For instance, new factory-built aircraft are incredibly expensive — a new Bonanza costs a million dollars — so a burgeoning aircraft refurbishment industry is developing to rebuild and retrofit existing airframes. 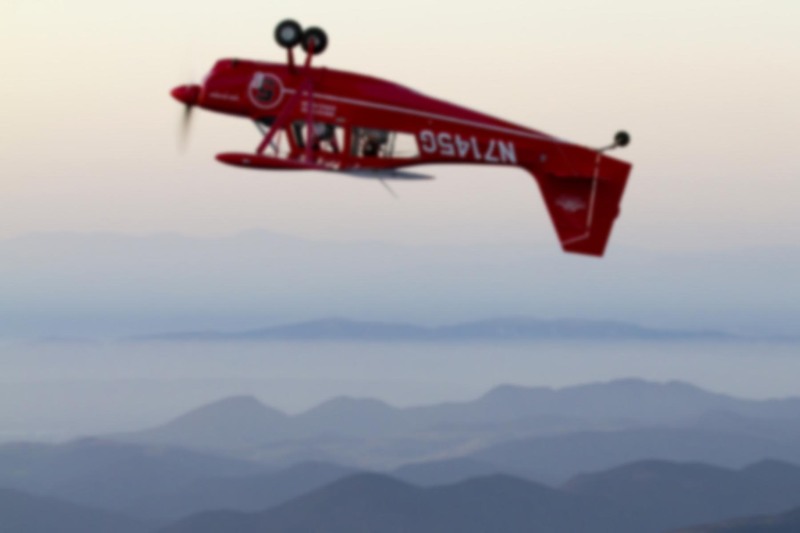 I’ve written many times about the rapidly growing homebuilt sector, which is a direct response to the crushing limitations placed on FAA-certificated designs. Organizations like Redbird, SAFE, and AKIA were recently founded to fix what ails our flight training segment. High fuel prices are being fought with balanced fuel injectors, electronic ignition, better operating techniques, diesel engines, and alternative fuels. Companies like Icon and Cirrus have given us compelling new aircraft designs. And don’t even get me started on avionics! Garmin, Avidyne, Dynon, etc. have obliterated the traditional cockpit and replaced it with what can only be described as the bridge of the starship Enterprise. Speaking of computers, the big industry associations like EAA and AOPA have been adapting as well. Improved web sites, digital magazine editions, multimedia offerings, and an increasing presence in the world of social media. Each of these is vital, because this is where the next generation of pilots is going to be found. Gone are the days of seeing them on their bikes, hanging out by the airport fence (I doubt the TSA would allow it anyway). The fence is now electronic, and it goes by names like Facebook, Twitter, and Tumblr. It’s not just about the future, though — indeed, we’re already using this stuff today. It impresses the hell out of me to see people like Richard Collins bringing Air Facts to the Web — he’s gotta be pushing 80 years old. Collins started flying in an era of four-course ranges, a time when the kids who fought World War II were still kids. I hope I’ll have the flexibility to adapt like that in the year 2055! Social media is absolutely vital to connecting with pilots, whether they’re 8 or 80. That’s why AOPA recently decided to give a group of 10 select voices a common microphone through what they call the “Opinion Leaders” blog. I first heard about this venture a few months ago when, much to my surprise, I was asked if I’d like to be one of the writers. AOPA has brought together 10 leaders in different segments of aviation ranging from business aviation to flight training to share their opinions, analysis, and forecasts of the industry. They tackle controversial topics—subjects you may have spent hours debating at the hangar with friends. Will you agree with their points of view? Share your own viewpoint in the comments area of each blog to generate a dialogue with your fellow pilots. “We brought together a diversity of leaders from different segments of aviation to one platform for AOPA members to be able to join the conversation on issues at the heart of our community,” said AOPA Editor in Chief Tom Haines. The blog is aimed at starting a dialogue about the future of aviation, sharing ideas, and building a sense of community. I was asked to write on corporate aviation topics, but you’ll undoubtedly see frequent crossover between that and other GA segments. For example, “upset training” is a hot topic right now in airline, corporate, light GA, instructional, and aerobatic circles. Any one of us could write about it. I’ll undoubtedly touch on that subject soon because I work in all those areas. My first tome, a defense of business aviation, was published last week. You’ll find something with my byline appearing there on a monthly basis. What do you think? They’re more educational in nature than opinion-based, but one needn’t exclude the other. My writing often jumps from the didactic to pontifical and back again. If my readership here at the House of Rapp has anything they’d like to suggest, I’m more than happy to consider it for an article. I’d also encourage you to visit the Opinion Leaders blog frequently, as new material will be forthcoming twice a week. Better yet, subscribe and the pieces will be delivered to your inbox automatically. There are more than a dozen features already published, and the comment section is starting to take off. I think that’s one of the best features of a good blog — participation from the readership. Among the first batch, it was John Petersen’s write-up about the future of VFR flying which stuck with me. He’s of the opinion that VFR flight is seen as a serious threat by the Feds because it allows pilots to fly without requiring direct monitoring and pre-approval from the government. I agree with him 100%. The government doesn’t understand VFR flying and doesn’t care to understand it. They want control of everything and everyone at all times, and that’s bad news for anything which smacks of independence or autonomy. Whoever came up with the idea for this blog collaboration is one smart cookie. AOPA will get a wealth of material at extremely low cost while leaving their staff writers free to concentrate on the big features and new multimedia efforts like AOPA Live. The launch was well-timed, because between the new AOPA president and the passing of Paul Poberezny, you can feel change in the air as a new group of individuals picks up the mantle to begin our work. The previous generation grew aviation and turned it into something truly great. It’s a gift, dropped right in our lap, and now it’s up to us to defend it. I hope the Opinion Leaders will play a small role in giving voice to our industry and ensuring the freedom of flight is available long after we’re gone. Great introduction to your exciting new project. I’m looking forward to each piece. As for topics, you have a good list going there, if I come up with something I’ll definitely send it your way. I’m going to upset training out in Phoenix in October and I can’t wait! More to come on that topic. If you’re headed to Phoenix, I assume it’s at APS? I’d be interested in hearing more about your experience! I provide a fair bit of UA training myself. It’s kind of ironic that you’re going, because with that RV-8 you’d need it less than, say, a pilot who flies a biz jet but little else. They’re the ones that tend to be afraid of stalls, spins, unusual deck angles, etc. What aircraft will you be training in? I think they’re offering an A-4 Skyhawk if you really want to go crazy. Boy, wouldn’t that be fun! Ron – I think your analogy of the digital airport fence is spot on. I have forged some really terrific friendships in aviation through blogging, people with whom I would have never encountered otherwise. I have learned much from all of them and gained tremendous appreciation of the broader pilot community beyond my own back yard. I’m also very excited about this new blog series and pleased to see that you will be a part of it. Congratulations on this well-deserved recognition! Thanks Chris. I’ve talked to so many people who have made lasting friends and valuable connections through social media, online forums, etc. What surprises me is that even octogenarians have jumped in with both feet! Well Pal you probably for got about the most destructive item taking down what you say is a growing industry, by mistake, I’am sure, Yes the 3rd class Med. Oh, thats right I forgot, your publisher won’t allow this issue. By the way, you dropped a name who spoke up in the 70’s and wasn’t around for the next issue.of aopa. An interesting take, Melvin. The “publisher”, if you’re referring to AOPA, has not suggested or forbidden any topic or opinion, so if I wanted to write about it or mention it, I would. You’ll probably see at least some of us write about medical certification. If you want my opinion on it, the way AOPA went about it has a better chance of success than simply proposing the immediate cessation of medical certification for non-commercial pilots. As for your other assertion, I don’t know anything about what did or did not happen at AOPA in the 1970’s. That was four decades ago. Depending on the year in question, I might not have even been alive yet.